Simply put, James Barratt is a killer guitarist. He'll teach you the basic guitar techniques, and use classic tunes as examples, such as REM - Everybody Hurts, AC-DC - Back in Black or Bryan Adams - Run To You. Simple, fun, exciting lessons with a pro! James Barratt has recorded and performed with famous artists and producers including Chris D’Adda (Stereophonics, Blondie etc), Nikki Shannon (Ronnie Dunn), Bridget Barkan (Scissor Sisters). Why learn from James? You'll learn faster and avoid getting bad habits that you'll have to get rid of later. In this course, you'll get a comprehensive introduction to the guitar and learn the basic techniques and knowledge required to play it. He uses classic rock and pop tunes by artists such as AC/DC, REM and Bryan Adams to teach and demonstrate the techniques in the real world. By the end of this course you'll be able to play these classic riffs like a pro! Great for beginners who have just bought their first guitar or guitarists with a little experience who want to make sure they're covering the basics properly. James has enjoyed a successful career as a full time musician since graduating from the Academy of Contemporary Music in 2007. 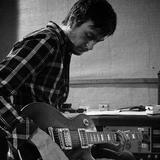 He has gone on to work with artists and producers from Stereophonics, Ronnie Dunn, Scissor Sisters and many more. He also composes music for television and film, such as Sony Walkman's 'Music Pieces' television commercial or the Albatross film trailer. He refers to himself as somewhat a purist, a musicians’ musician if you will, this approach to his artistry has sparked attention from big corporations and TV producers. James’ can be heard on the during shows such as ‘Geordie Shore’ and even adverts from the ‘British Heart Foundation’ due to his natural versatility as an artist. "The best, and most frequent compliment I get when on sessions for clients is that I play what’s ‘right’ for the music. Often it’s all down to simplicity.."